Airwheel Intelligent Scooter, an Eco-friendly Transport Gives You an Eco-friendly Life. Abstract: World Environment Day (WED) is celebrated every year on June 5th to raise global awareness to protect nature and earth. This year’s theme is 'Seven Billion Dreams; One Planet; Consume with Care.” Airwheel intelligent scooter, pollution-free and environmentally friendly, is the best example of sustainable development. World Environment Day (WED) is celebrated every year on June 5th to raise global awareness to protect nature and earth. This year’s theme is ‘Seven Billion Dreams; One Planet; Consume with Care.’ The theme is “Live a Green Life”, which aims to improve the environmental awareness, conservation awareness, and ecological awareness of the whole nation, and helps people across the globe adopt a low-carbon and conservation-oriented green lifestyle. Sustainable consumptive and productive mode spawn green and low-carbon products, which improves people’s living standard. Airwheel is one of them. Airwheel intelligent scooter is a new transport in the time than is full of high-tech products. It is not only compact and fashionable, but also safe and pollution-free. Besides, it has cool look and high technology, which provides users with the best riding experience and improves people’s life standard. Airwheel electric intelligent scooter insists low-carbon sustainable growth. It uses imported Li-ion driving batteries from Sony and Panasonic, Top 10 high-end Zhengxin types, high-tech resin case made from nanometer material, ultra-silence magnetic levitation motor. A good product is always people-oriented, which is not only eco-friendly, but also practical. 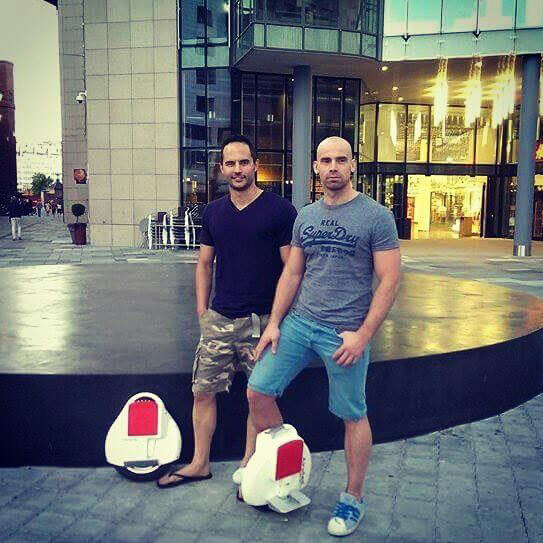 Airwheel electric self-balancing scooter is inserted with the smartest chip around the world. The chip has the most intelligent system in the world, using aerospace attitude control theory, fuzzy software algorithm, and gyroscope system to realize self-balance forwards and backwards. Rider only needs to move forwards or backwards slightly to control it, to speed up or slow down. 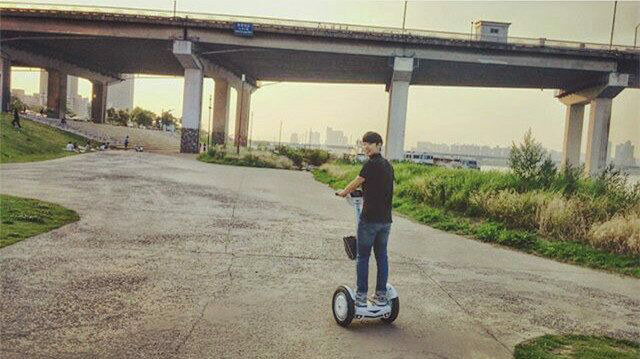 You can ride Airwheel electric intelligent scooter, which is safe, portable, and environmentally friendly. Sustainable production and consumption are the power of social development. Green life is the lifestyle that people are chasing. Airwheel electric scooter responds actively to the appeal of the United Nations and China, and is determined to make the best low-carbon transport, which is of high quality, and eco-friendly.